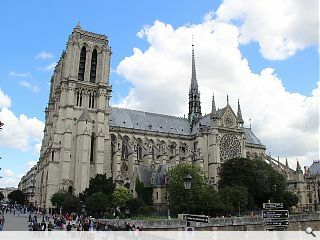 The French government has invited architects to draft designs for a ‘new spire’ to stand tall above Notre-Dame cathedral following a devastating fire which destroyed a nineteenth-century replica of the original medieval design on Monday. Prime minister Edouard Philippe issued a global call to arms for architects to design ‘a new spire that is adapted to the techniques and challenges of our era’ as part of a rapid reconstruction effort which seeks to rebuild the Unesco World Heritage site within five years. Speaking to BBC Radio Scotland Urban Realm editor John Glenday said: “Buildings embody much more than the bricks and mortar which go into their construction. They tell a story over time and never stand in isolation. “Notre Dame is more than the sum of its parts it’s about the setting and contribution to the wider cityscape, history and culture. Becoming an integral part of the city and belonging to everyone in the process as a backdrop to daily life. 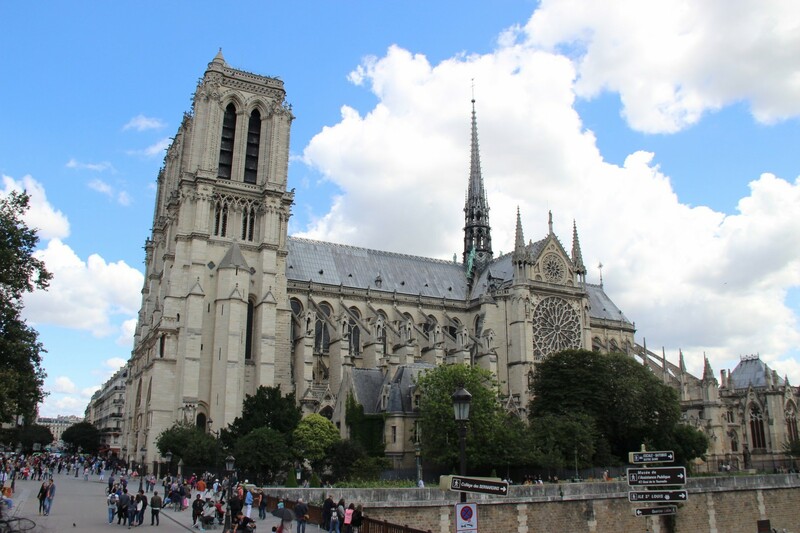 French businesses have pledged a combined £692m to fund the reconstruction, sparking a debate as to whether to reconstruct the lost spire to designs by French architect Viollet-le-Duc or build a contemporary interpretation – similar to the debate surrounding the Glasgow School of Art. So while "benefactors" cough up millions in contributions architects are expected to cough up time and skill for free? This process of procuring the services of an architect will surely follow strict EU guidelines. Therefore architects interests should be protected. Or perhaps they will just appoint an architect outside the EU and bypass the all paperwork. its encouraging to see that even at such an early stage in discussions that talk is more about complementing the existing structure with a new spire and perhaps roof that reflects current building ideas, reflects todays age, and not necessarily simply recreating what has been lost - this approach will bring new life out of the tragedy and should be commended! Hi Malky - that was before the competition was announced. We will see what form it takes once the process is formalised and of course call out any procurement issues. We are gathering entries for this year’s annual now and this process is independent of any advertising. #4 MalkyT - Your protectionist bleating is a little over the top, I don't think JG was touting for the work. Get over yourself man. Crikey, bit too soon non? It’s like the kids pushing their grandad to pull at grannies funeral. With the rise of postmodernism perhaps they could just replace it with a large tower in the shape of a phallus? This would represent the sexual empowerment of the 21st century. The other option would be replacing it with an Islamic style Minaret to represent Europe's growing diversity, it would be symbolic of the hopeful, progressive, inclusive, egalitarian and open outward looking society we are in the process of building.